I was born to be a traveler. And like most other travelers — I love to meet people who follow their traveler hearts. Monika Frycova uses travels as an art form. To get between places she travels around on a car, which is in fact one of the weirdest car I have ever seen — an old red-coloured Trabant. Monika Frycova is a Czech audiovisual artist, performer and a writer that used to study in Iceland and still spends a lot of time there. In Perpetuum Mobile, the artist exhibit photos and videos from her journeys around the world, accompanied by composition. To understand the artist statement more deeply, let´s quote to her words in the exhibition catalogue. “In this evolution of weaving my personal stories and using improvisation as a creative tool, I haven´t followed any version or model. 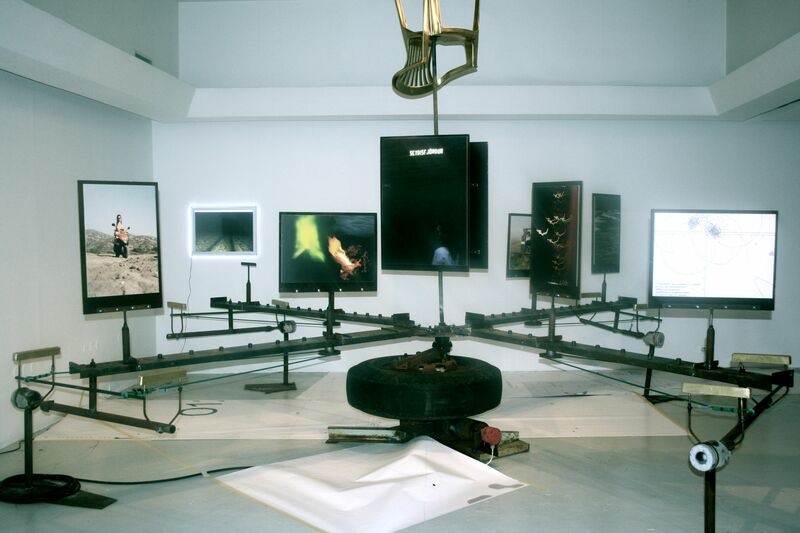 My investigation focuses on different items — human experiences, the most.” Monika Frycova, Perpetuum Mobile exhibition catalogue, Kling & Bang, 2011. The artist´s journey on the Trabant started in a small village in Czech Republic in 2005. The car, which looks more or less like a sculpture, hasn´t been that easy to travel around in. As a matter of fact, Monika gets arrested all the time for just driving it. 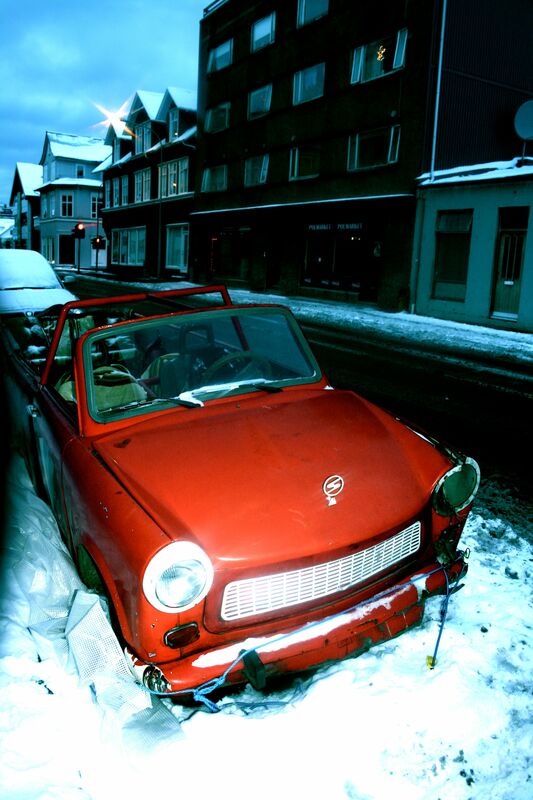 Today, she and her Trabant have travelled all the way from Berlin to Iceland, where it is now placed temporarily on Hverfisgata 42, in front of Kling & Bang gallery.